I was privileged to get to design at the Guthrie Theatre in Minneapolis for my first design in graduate school. 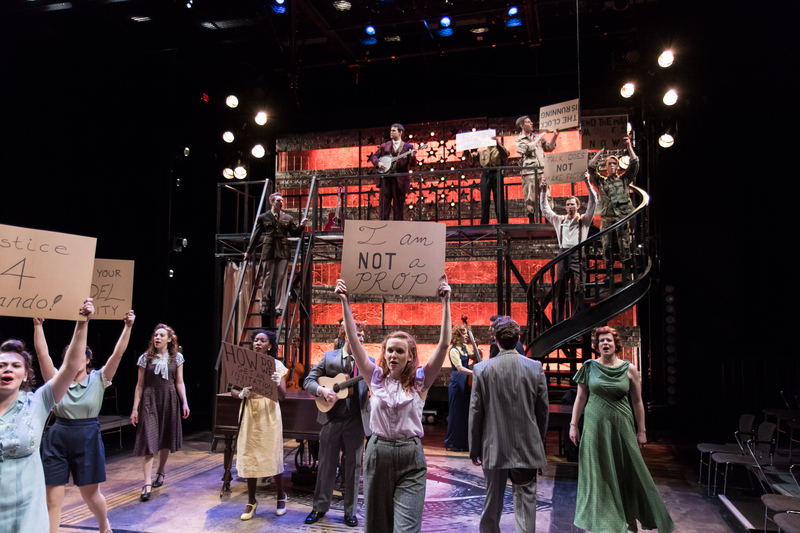 The 20 person company of Seniors from the joint University of Minnesota and Guthrie Theatre BFA program culminate their education with a fully produced play in the Dowling Studio at the Guthrie. The class of 2017 was not only full of talented actors, but also musicians. One of the reasons The American Clock was chosen was to showcase that musical talent. 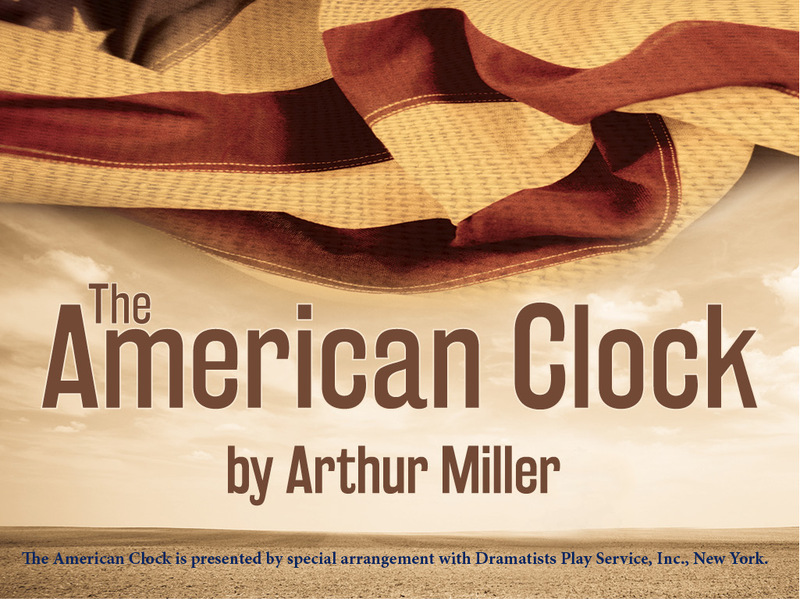 Arthur Miller weaves music throughout the script to begin with, so the company played and sang a mashup of depression era and modern poignantly themed songs. Some key themes I picked up from the directors concept were: desolate surrounding vastness, ‘what has been will be again’, and epic vaudeville. One of the big ways I was able to support those themes was by mounting mics across the set and playing area. Specific moments of the play were highlighted by adding the actors into the speakers and at times punctuating with reverberation or delay. These mics serves multiple purposes throughout the show: they were practically used to help balance musicians and singers, created a ‘dust bowl’ vastness, and reinforced a vaudeville feel. To support this idea of what has happened before is happening again, I used a clock at various moments throughout the show. I also grabbed music that were modern songs done in a 20s era style, or classic songs remixed to sound modern. There were opportunities to tie in radio as well, as the script called for a Roosevelt piece. There were news pieces that played from various financial crises that have happened through the years mixed to sound period. Transportation and movement across the country became a sub theme and I was able to support with sounds that blended in with the music during the musical transitions and narrations that took place between the various scenes. Guthrie Theatre, University of Minnesota. Bookmark.